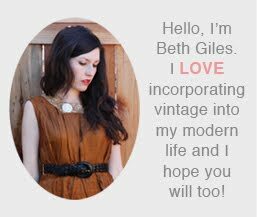 Vintage Clothing Blog | Vintage Wedding Dresses | Salvage Life: Oh Deer! 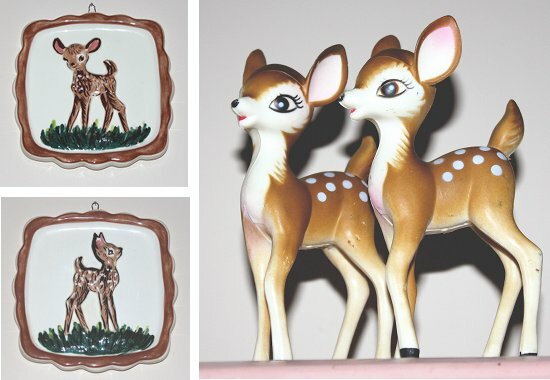 I bought these precious little deer plaques from the 1960's at the flea market on Sunday. Then I found these 1950's deer from another vendor that had loads of bottle brush trees...oh I wanted them so bad, but they were out of my price range unless I wanted one that was an inch tall. I hung the plaques on the wall in my daughter's room and put the deer on her shelf. I was going to stash them with the Christmas decor, but I think we'll enjoy them for a bit first.